Last week I wrote about the sudden vanishing of John's Barber Shop under Port Authority. 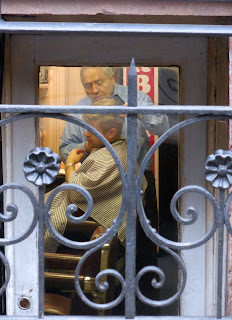 I mentioned that his brother, Nick, is still going strong in his own little shop on West 44th St. If you want a good, old-school barber shop experience, go see Nick. 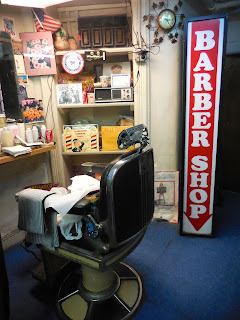 Now that John's is gone, along with the great Mayfair, he may be the last of his kind in that area. And you never know how long a place like this will be around. It's a little spot down a set of stairs at 351 West 44th. 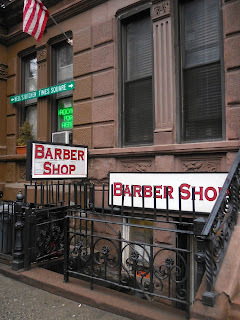 The signs just say "Barber Shop," but the official name of the place is the Times One Barber Shop. If you bend down from the sidewalk, you can see Nick at work. There's always someone sitting in his chair. 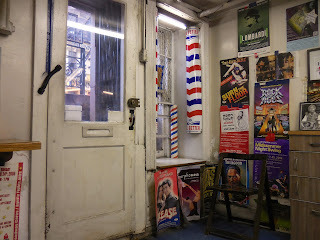 You take a seat and hang up your coat. 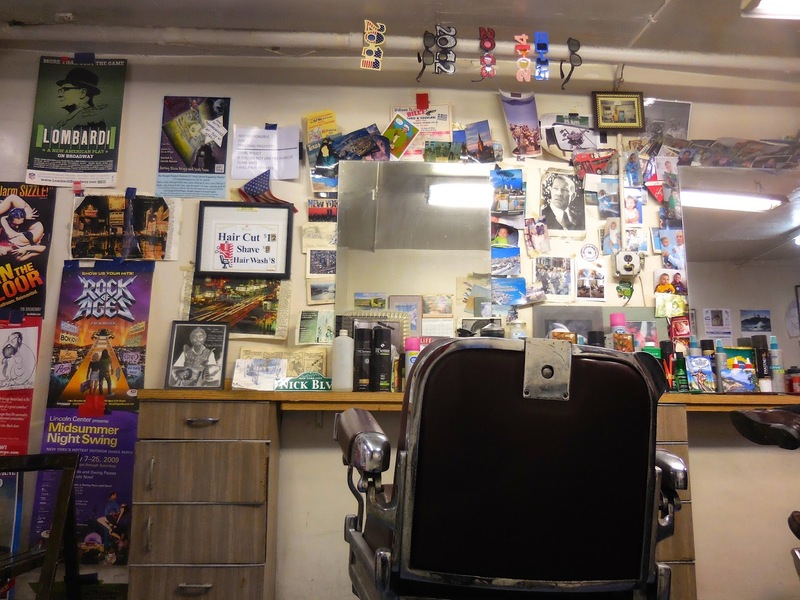 The walls are covered with Broadway posters, many of them autographed by Nick's customers. Along a ceiling pipe hang New Year's Eve sunglasses. There are mementos from Greece, Nick's home country. If you ask him about the old shop, the one he worked with his brother under 42nd Street in the subway arcade, he might take out some photographs--one of the corner where the shop used to be, and one of himself, a young barber with thick black hair, in the Times Square of the past. He'll do a decent and quick job on your hair. The price will be cheap--12 bucks. 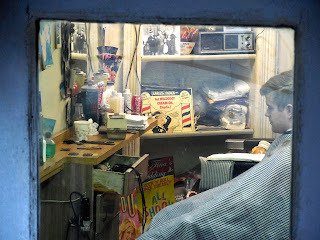 And, like the sheet metal barber poles in the window say, you'll LOOK BETTER and FEEL BETTER.